Blush is a beautiful theme with wedding photographers in mind. It takes that classic wedding photography website look, but with elegant pixel perfect design and a feminine finish. 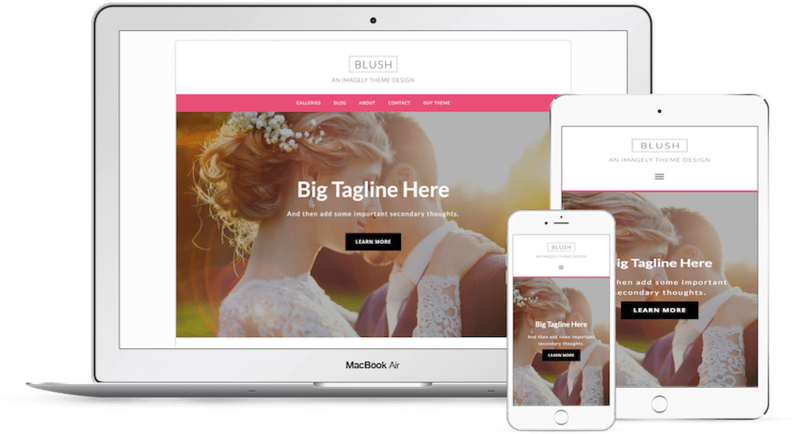 Blush is ready for desktop and mobile. Complete with a homepage slideshow, multiple blog, page and post templates.